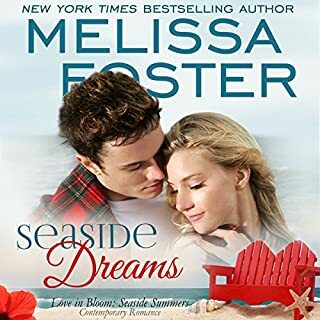 Every look, and every late-night chat in the romantic jungle brings them closer together, but Sage can barely think past stripping away Kate's misconceptions about him. Kate fights him every step of the way - even though she finds it hard to ignore the strikingly handsome, generous-to-a-fault artist who wants to do nothing more than right the wrongs of the world - and love her to the ends of the earth. I love the storyline! This story is well written and realistic. It's entertaining and captivating. The two main characters, Sage and Kate, are two beautiful soul mates. They encountered in Belzile when Sage volunteers for an International Aid ran by Kate. It's a heartwarming listen. The narration is really great and easy to listen. This is such a feel good listen about two incredible people. I loved the original storyline and thought both Sage Remington and Kate were endearing and realistic. The imagery of Belize makes me want to go volunteer there. I thought that the character of Javier stole some of the thunder with his charming personality. He is such a cute kid. I loved his voice that BJ Harrison gave him. The performance of this book is wonderful. I can't recommend this book enough. This book is both a standalone listen and part of a series. I thought it was great how Kate met Sage's family and was accepted. This book has the most wonderful story. Kate is in charge of a humanitarian effort to help a small village in Belise. Celebrities, like Sage, come there for good PR. The attraction and chemistry between the two of them is instantaneous, but is Sage really like all the others, just there for the PR? Sage is a well known artist from New York City, but that is where the likeness stops. He is there because he wants to do so much more with his life. In this book, there is the budding romance between the two of them in the jungle of Belize, while working to help the people there, including the children that have to go down and bring water from the river, and pick up sticks for their fires, before they go to school. This book has the most wonderful story, and then add in the narration by B.J. Harrison, it is a five plus book, that I highly recommend. This audio book put you right in the adventure that brought Kate and Sage together. Audio books bring the stories to life. Sage and Kate's love story is both romantic, sweet and funny at the same time. I can't wait for the next audio. OMG!!! 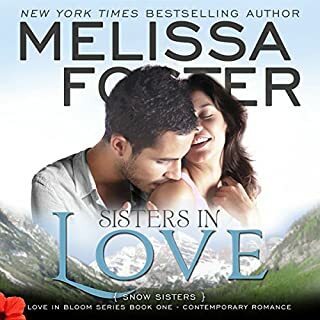 I have been caught up in every single book of the Love in Bloom Series. And, they have gotten better with each book. Another great job by Melissa & BJ!! Melissa gave this Amazingly talented Artist another passion in Kate and their "new business", while BJ Harrison brought it to life with his story telling abilities! Sage is my favorite Remington of all and this book just proves why! HE is sensitive and tough, and absolute, 100% Alpha Male. Kate is strong, able to support herself in her humanitarian efforts. She doesnt need anyone but with Sage, she not only needs him, but wants him. I found myself actually feeling the emotions of Sage & Kate. My heart felt for them as they had to be apart for a week...I felt every bit of the raw emotion of their Surprise Reunion, which I had secretly hoped for while reading it! Sage's passion and feelings toward Kate, and her's toward him just made me feel WONDERFUL!!! Sage, is an artist that his soul is lost. He decides to go to Belize to volunteer and help his restless soul, and never expected to find Kate. Kate is over the spoiled celebrities that come to make a name for there selfs, but never actually do any work. Just poses. They have that connection that they both are trying to ignor, but the more late night talks... working together and him taking her beliefs and what she works so hard for, she is starting to let her feeling out. Sage not only helps , but he adores the kids. He even calls Kurt his twitter brother so he can talk to him about his dream of being a writer. Kate and Sage live worlds apart, but will they find away to make all there dreams come true! Oh come on you gotta read it now. There is so much they need to accomplish in 2 weeks! And a beautiful mural that sage paints. You can almost see it with the way she Melissa Foster describes it. Stroke of Love was a great book. Sage is in search of whatever is missing in his life. He has to figure out what. Kate is tired of the diva artists and longs for something more. The chemistry is amazing between these two. Will they each be what the other needs? Their story kept me hooked throughout. I enjoyed listening to this narrator as well. I definitely recommend this book. I enjoyed B.J. Harrison's narration as Sage, the voice worked well for the character! I liked reading about Sage and Kate and enjoyed reading about their charity work, the relationship with the kids in the community, etc. I liked that it was different because they were away from the normal hustle and bustle of city life and instead you got to read about their humanitarian efforts and how Kate got to discover that Sage was not what she stereotyped him to be. I would have liked more struggle between Kate and Sage's relationship but overall, it was still very enjoyable to listen to the audiobook! Sage and Kate- An artists romance in Belize! First and foremost with all of the Remingtons. Once they find love they love with all they have. Sage Remington, who is an artist who lives in NYC, was looking for a cause that was more then just to write a check as his donation. He hears about a non-profit group called AIA. Artists for International Aid. As he wants to make a difference he decides to donate his time AND his talent. With this he ends up in Punta Palacia, Belize. Meet Kate Paletto. Kate is in charge of the volunteers that come to Belize with AIA and she lets all the volunteers what she expects from them. Which come to find out is not much. Most of the volunteers are actors and musicians who are only doing this for he publicity. Quite frankly she is tired of dealing with their childish, whining and complaining behavior. She also vows she will never “fall for” one of the volunteers since they are only there for a short time. Usually women jump at the chance to be on Sage’s arm. Not Kate. She has walls around her heart and she is not willing to knock down those walls for anyone. Brick by brick Sage does just that. She finds that he is not one of those artists that care about his image and only his image. Once she accepts Sage for Sage she finds that she loves the way he engages the children to paint a mural on their school. She loves the fact that he makes things happen through hard work and sweat. She finally falls in love with Sage! As for the narration. I really like BJ Harrison. I feel he reads with emotion and really touches the person listening to him tell the story. 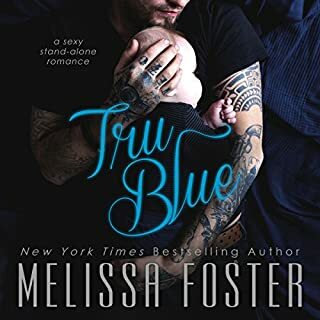 I think he is a good match for Melissa’s books! This book is one of my favorites in the Remington's part of the LIB series. The story takes place in Punta Palitia and the narrator BJ Harrison does a great job of making you feel like you are right there in the hot sticky jungle working to help make life a little better for the residents. When you read or listen to this book you will see what little things we take for granted like clean drinking water and good cellphone and internet connections. This was a great book filled with lots of love. I absolutely loved the story of Sage and Kate. Sage is an artist on a two week holiday of self discovery, to get away from his Big Apple lifestyle. Kate runs a volunteer program which allows 'celebs' the opportunity to try and help those less fortunate and also perhaps repair their own damaged reputations. Over time Kate has got used to her volunteers and their agendas, and distances herself from them. Only this time, Sage stirs emotions that she hasn't felt for a long time. This is a very sweet story of a girl trying to protect her heart from a man trying to prove he his who he seems and he wants to protect her heart too. I found B J Harrison's narration very smooth and easy to listen too. I'd listen to more from him. What did you like most about Stroke of Love? He is so good at what he does its difficult to pick one.